Donald’s deep knowledge of music is only matched by his professionalism and his innate ability to get the very best performances from those lucky to work with him. He puts his entire body and soul in the music; I look forward to working with him on future projects. The Philadelphia Convention & Visitors Bureau and our business development division, PHL Diversity, have long valued our on-going affiliation with Diverse Arts Solutions and its President & CEO J. Donald Dumpson, who work tirelessly building bridges to diversity through the arts. For many years Diverse Arts Solutions has been a valued partner producing superior multi-cultural solo and ensemble arts performances. We are proud to have them serve as a strategic collaborator to the PHLCVB, helping us increase Philadelphia’s ability to secure diverse and multicultural meetings and conventions. PHLCVB and PHL Diversity looks forward to an expanded relationship with Diverse Arts Solutions, further raising Philadelphia’s awareness for excellent diverse artistic experiences. President and CEO | Kimmel Center Inc. The quality of the singing, the selection of repertoire, the beauty and pageantry of the massive choir from stage to top balcony, the exquisite twinkling of the lights for Silent Night and to top it off, white angels dancing in the aisles. I cannot thank you enough for your vision, creativity and commitment to make (it) possible. I would not be where I am today, if Donald hadn't nurtured my talent, taught me to go beyond the comfortable, and dip into the great unknown depths of my own unique gifts. Donald, is a Master, and even to this day, I am proud to call myself his student. 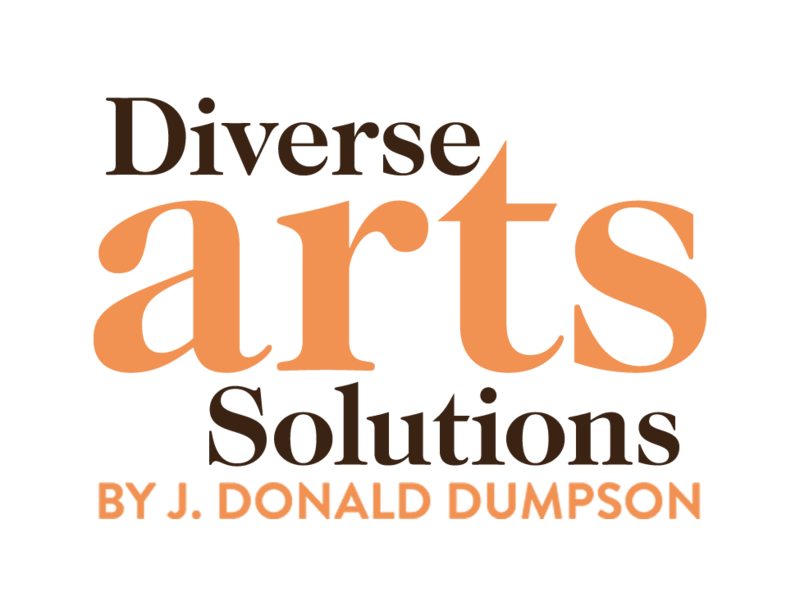 J. Donald Dumpson, President of Diverse Arts Solutions, has long contributed to the creativity and artistic expression of Philadelphia. A seasoned partner on major events, Dumpson taps into the extraordinary depth and breadth of Philadelphia's diverse cultural assets, and continues to help make our ​​​city a ​​legendary ​place of choice for the arts. Maestro Dumpson navigates the realm of voice much in the way Einstein navigated the realms of time and space. The genius of them, I suspect, lies in a natural born ability to share with us wonders we otherwise would not know. The voice has no equal, and in its mastery, nor does Maestro Dumpson.